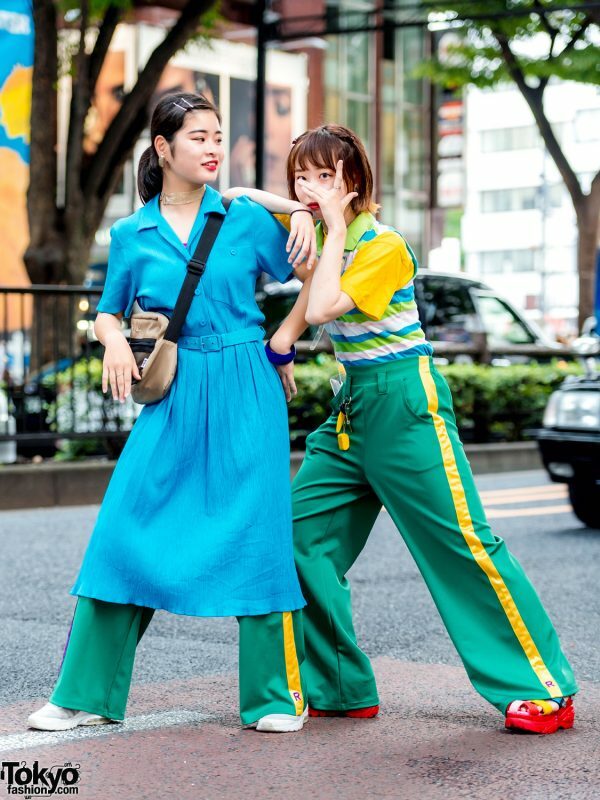 While out on the Harajuku street one late afternoon, we came across these two fun Japanese students – Saya and Okusako – sporting colorful styles. 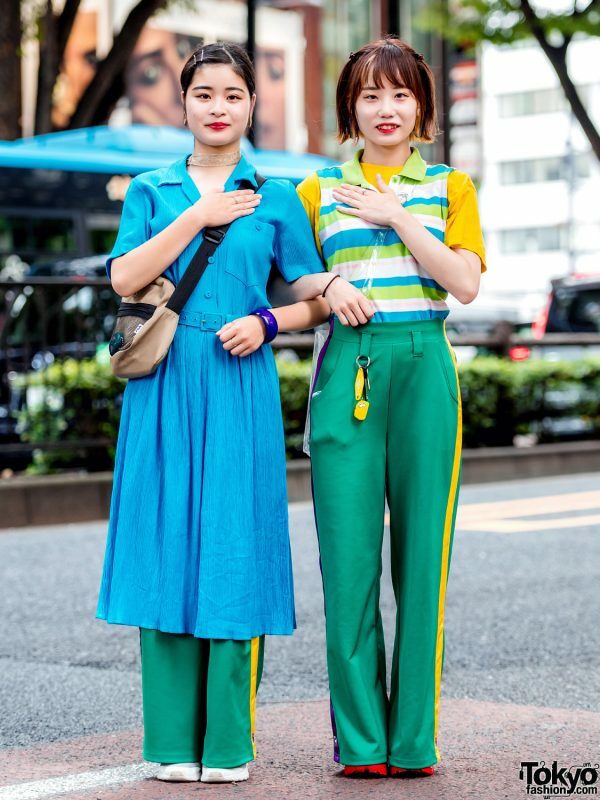 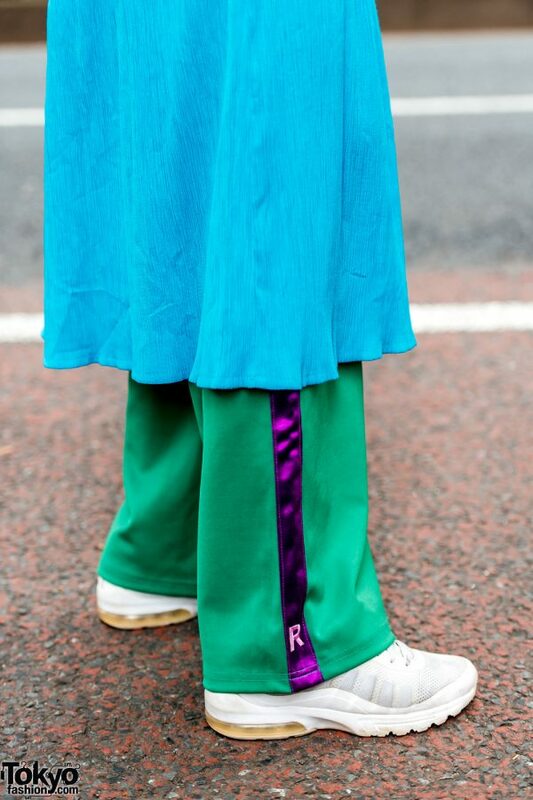 At the left is 18-year-old Okusako, who is dressed in a blue belted chiffon dress, worn over green track pants with purple-and-yellow satin side stripes – both of which are from RRR By Sugar Spot Factory. 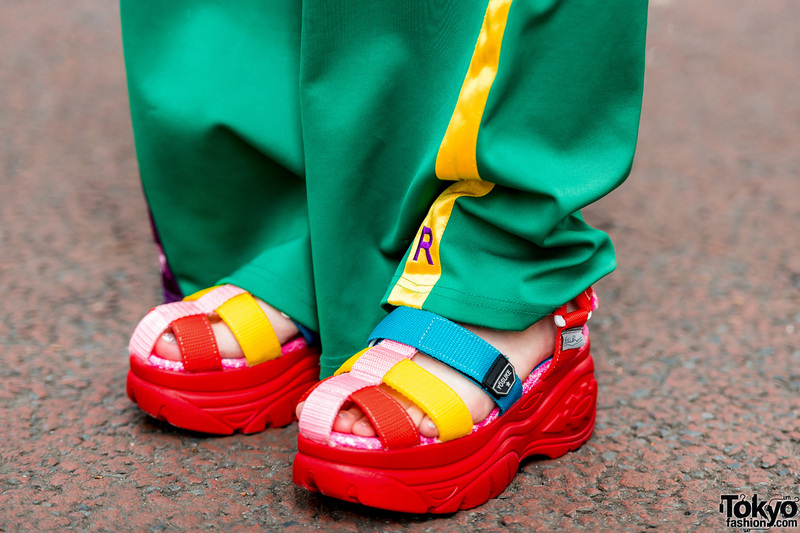 She finished off her look with white Nike sneakers, a beige FILA crossbody bag with a mesh front pocket, and accessories – from RRR By Sugar Spot Factory – such as gold disc earrings, a lace choker, a blue bangle, and a silver ring. 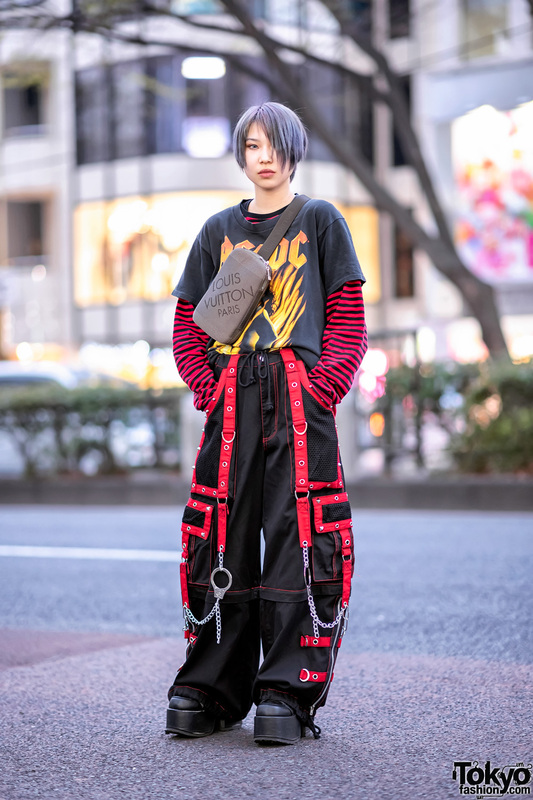 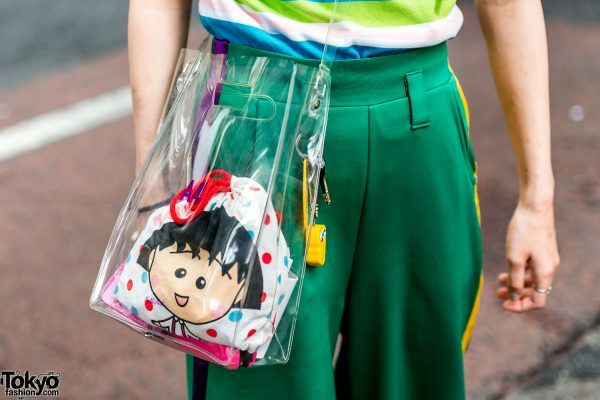 Okusako’s favorite fashion brands are Kinji and RRR By Sugar Spot Factory, and she enjoys the music of BTS. Follow her on Instagram. 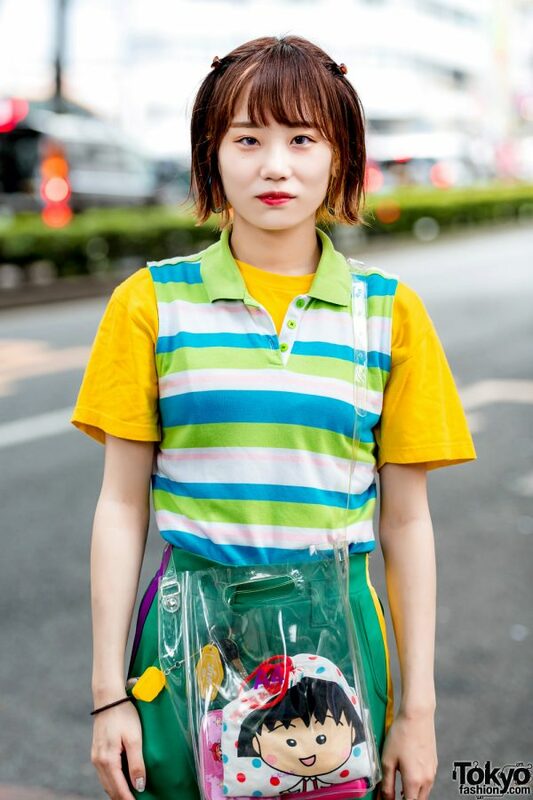 Meanwhile, 17-year-old Saya is wearing a sleeveless striped shirt from the popular Harajuku resale shop Kinji, which she wore over a yellow t-shirt, and paired with green track pants with yellow-and-purple satin stripes from RRR By Sugar Spot Factory. 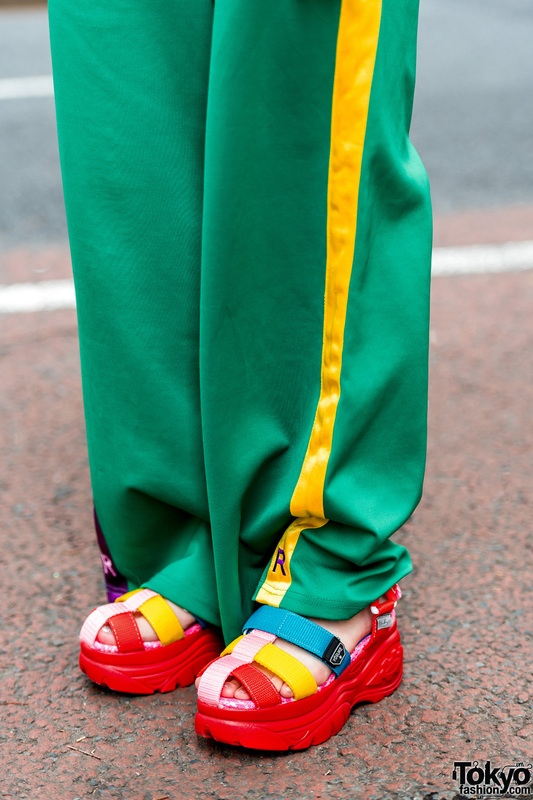 She styled her outfit with strappy platform sandals from Yosuke, and a clear sling bag from Nana-Nana. 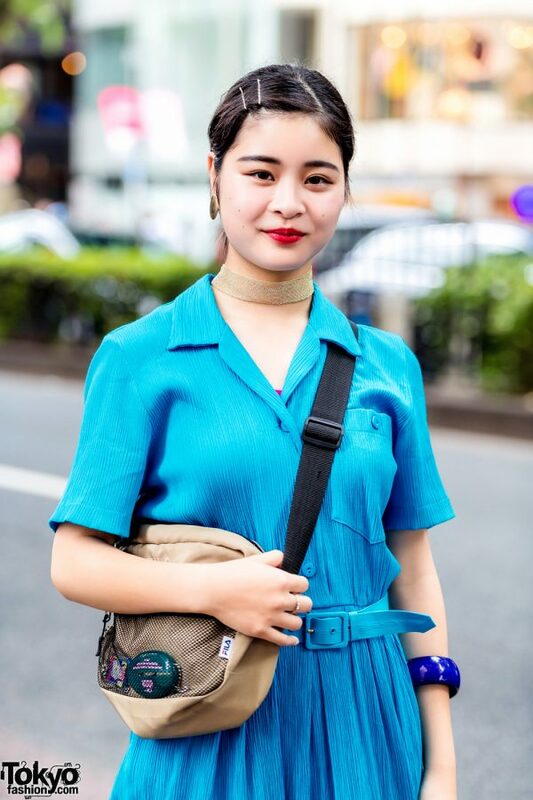 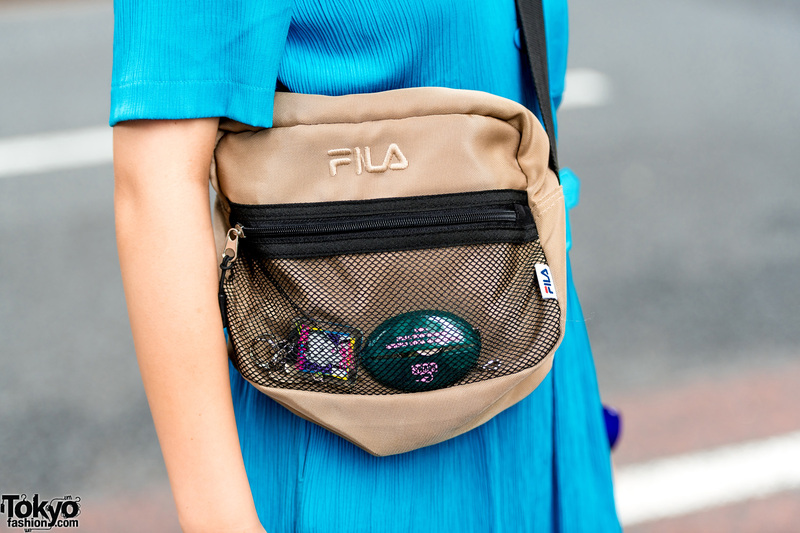 Kiki2 is Saya’s favorite vintage/resale shop, and she told us that she is active on Instagram.